In the Old West Halloween dances were held in schoolhouses, barns or churches. Guests were required to jump over a broom upon arrival to assure future happiness. Masquerade balls were popular, too, but were mostly held in the east. Apples played an important part in those early Halloween rituals but so did tin soldiers. An article in the El Paso Daily paper in 1899 described the ritual of melting tin soldiers. A young woman would drip melted tin from a spoon into cold water. The tin would harden in all manner of shapes, thus foretelling a maiden’s future. If, for example, the tin looked like a shoe, she would marry a shoemaker. A ship meant her future husband would be a sailor and a hammer foretold a dashing (handsome?) carpenter in her future. Bobbing for apples was a must, but with an interesting twist. The apples each contained the name of a male guest. A woman lucky enough to sink her teeth into a pippin would come up with more than just a wet face; she’d also know the name of her future mate. Some enterprising hostesses who owned apple trees went one step further. While the fruit was still green they glued the initials of single males onto the apples. When the apples ripened, the paper was washed off revealing the green initials on the rosy cheeks. 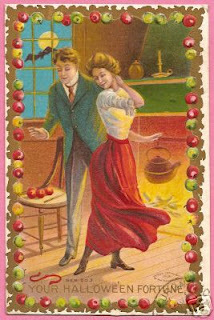 Upon arriving at the party, female guests would draw an apple from the tub to find out the name of her dance partner. Another popular game involving apples required careful paring so that the peels were cut into one long strip. These were then thrown over the left shoulder. The initial the peel made on the floor was the initial of a future love. Peelings were also hung from barn doors and female guests given a number. If for example you got number two, then the second male through the door was your true love. Another crowd pleaser was the cobweb game. Guests were each given two bright colored threads attached to a cardboard heart in some remote corner. The threads ran through the room in an intricate pattern. The idea was to unravel your thread by bobbing under a red thread or slipping through a tangle of green or blue threads until you reached the cardboard heart which named your partner for the night. Halloween games also included the game of Proposal. Each woman was given a stack of cardboard hearts and lemons. The males had to go around the room and propose to each woman. He had thirty seconds to convince her to marry him. When the bell rang she would either give him a lemon for no or a heart for yes. At the end of the game, the man with the most hearts won. 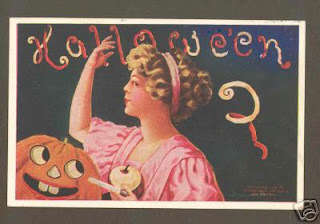 With all the ghosts and goblins of today it’s hard to imagine a time when Halloween was just another word for romance. I never liked Halloween, even as a child. It's too dark for me. What about you? Are you a Halloween person? He's a Texas Ranger and she just shot him! 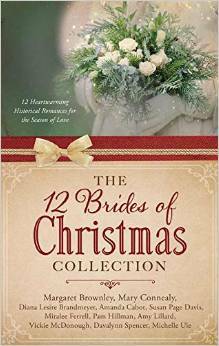 All twelve stories can be published singularly or together. No, I don't like Halloween. I have always been sensitive to dark and evil anything. I became a Christian at 12 years old and, of course, that sensitivity became even more pronounced. Hi Terrill, it's seems like Halloween has gotten darker through the years. Now I see little ones dressed up in ugly costumes. I enjoyed it as a kid but no I don't do halloween anymore. Hi Kim, I pass out candy, but that's about it. Ya know, Halloween has never been a favorite for me. I didn't like dressing up, I didn't like Trick or Treating....no, not for me!!! I have to admit I use to enjoy the candy. Those were the days when we didn't have to worry about calories! I don't do halloween either. When the little kids dressed up cute.. It was fun - but I agree now it's gotten darker..
Deanna, I use to love seeing the cute costumes. Oddly, enough we have more Halloween activities in my town for pets than children. Very interesting post on Halloween games. I, also, don't care for the dark side of Halloween. I took our granddaughter to a pumpkin patch yesterday. She is 13 months and chose 1 large pumpkin and 1 small pumpkin for me to buy for her! Hi Sharon, the pumpkin patch must have been fun. Aren't grandkiddies the greatest? I used to go trick or treating as a kid, back when you could go around to your neighborhood and not have to worry about your safety, either physical or in your candy. Nowadays, I don't celebrate it nor do I even give out candy, never have. Since I've become a Christian, I don't want to acknowledge the holiday. My kids never went out, the only thing we've ever done was a harvest party at a church somewhere with fun games and prizes. You are right about it becoming much more dark. I've seen some pretty ugly & gory movies they always show on TV right before Halloween. And not to mention the costumes they have now....yikes! 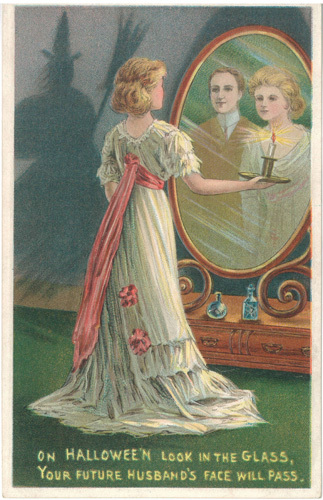 This was an interesting post on old fashioned games, they sound like a lot of fun and I definitely wouldn't associate Halloween with romance :-) How fun was that to discover! We stopped participating in Hallowe'en when my youngest child came home from school and said he had trouble concentrating that day. He had been disturbed by sight of the kid next to him with a face streaked with blood because of the axe stuck in his head. The next year, my youngest asked if he could stay home from school on the 31st. I agreed. I also realized that none of the kids would be getting much learning done, so the day before, I sent the oldest with a note that said, "My children will not be attending school on the 31st because we don't believe horror is conducive to their education." As for giving out treats, we've lived on a farm for 15 years and we're too far from town to warrant a drive out. Perhaps if we gave out something expensive, but really, why nurture a dark environment. No thank you. However, the youth group enjoys the annual corn maze sometime during the month of October. Great post, Margaret. I hadn't realized this aspect of western culture and really like that they incorporated romance into their games. Margaret, thank you for a marvelous post. I'm not a Halloween person either. Every year I'm thankful we live rural and our neighbors don't have school age children. My husband (retired), our daughter, my sister (retired), her daughter and son-in-law are teachers or principals in elementary or junior high settings. They all have to deal with the non-learning days of Halloween week, not just the day of.